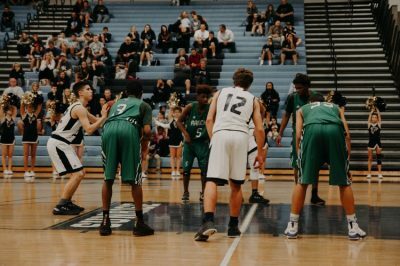 Basketball is among the most practiced sports activities worldwide. Many international basketball tournaments take place every year at the four corners of the world. Starting from 2019, Tournaments Abroad will extend its network to provide also to basketball referees the opportunity to travel, learn and become better officials by attending sport events abroad. This will be an incredible opportunity especially for many young up-and-coming referees, just like it has been in the past few years for many football officials of the same age. Tournaments Abroad intends to take up this challenge with enthusiam and professionalism in the hope of replicating the great success our format has enjoyed in the footballing world. The first event “Tournaments Abroad” event which saw the participation of basketball referee is the Paris World Games, France’s biggest youth sports events that takes place every year in the French capital in the second week of July. 20 referees and 5 instructors from Tournaments Abroad will participate in the 5th edition of the games. Shortly after we were also approached by the United World Games, another major basketball event that takes place in Austria every June. In the next few weeks we will do our best to add new events to our list. So keep visiting this page regularly! Interested in knowing more? Check out our FAQ or contact our basketball coordinator. 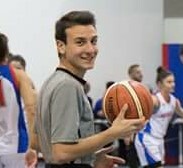 Enrico Fustagni is a 19-year old basketball referee from Italy. Active as a referee since 2014, he currently officiates games in the local "Serie C Maschile", the 3rd national division. Enrico joined Tournaments Abroad as "tournament staff" in 2018, taking part in one edition to the Ibercup Cascais and Paris World Games. From this year he will lead TA's endevours in the world of basketball.